What is face mounting photos to acrylic and why do you use it? 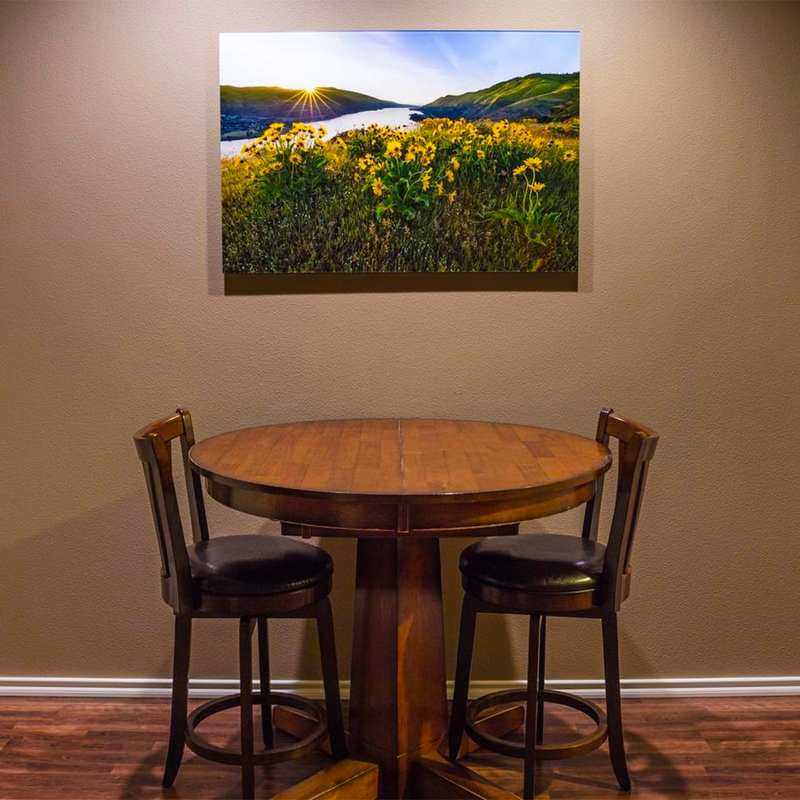 What is face mounting photos to acrylic? Face mounting photos to acrylic, also called second surface mounting, is a superior method for ensuring longevity and for giving a professional finished look to acrylic prints. Although it is a delicate process and requires time and a great deal of professional experience, we feel it gives the final product an almost three-dimensional, museum-quality result that is difficult to surpass. The glass also protects the photo from fading, dust and scratches. With face mounting, we apply a special silicone glue archival crystal clear film adhesive to the print and then mount the front of the acrylic photo to it. The bond between the UV-resistant glass and the photo is airtight. Because of the airtight bond, there is no light reflection between the glass and the photo. It adds depth and makes the photo look like it is part of the acrylic. When paired with our Metallic or FujiFlex photo paper, face mounting photos to acrylic creates a look that has to been seen to be believed. This ensures that vivid colors achieved by the acrylic printing process are not compromised. We then attach a wooden museum backing to the print. The backing creates a 1″ space between picture and wall, which makes it appear as if it is floating away from the wall, giving additional dimension to the photo.